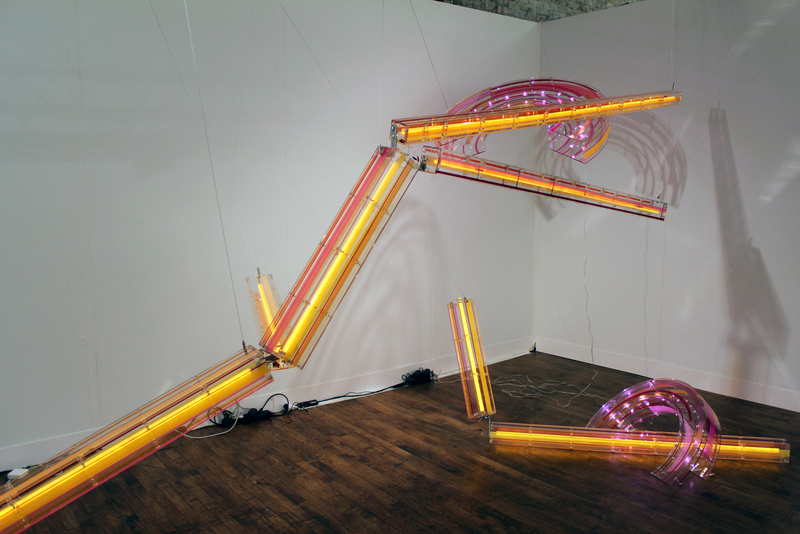 NEW YORK—This year’s Volta show was brimming with expressive and impressive works from emerging artists. Staged at a new venue in Soho, the invitational event was ideal for collectors interested in contemporary artists on the rise and provided an opportunity to meet the artists (and their representatives) and learn more about their projects and inspirations. 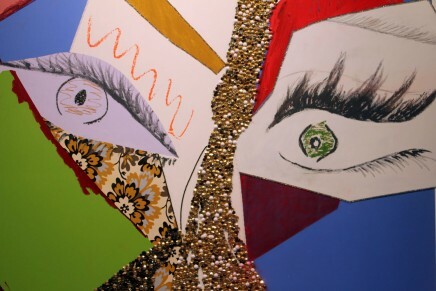 This ArtInfo article reports on sales at VOLTA. 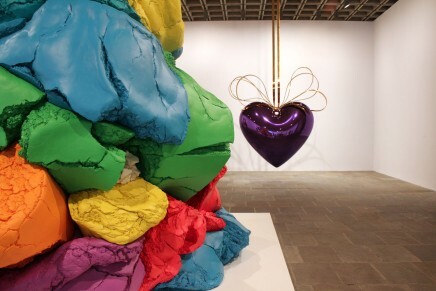 An overview of some of the most compelling works on view follows. 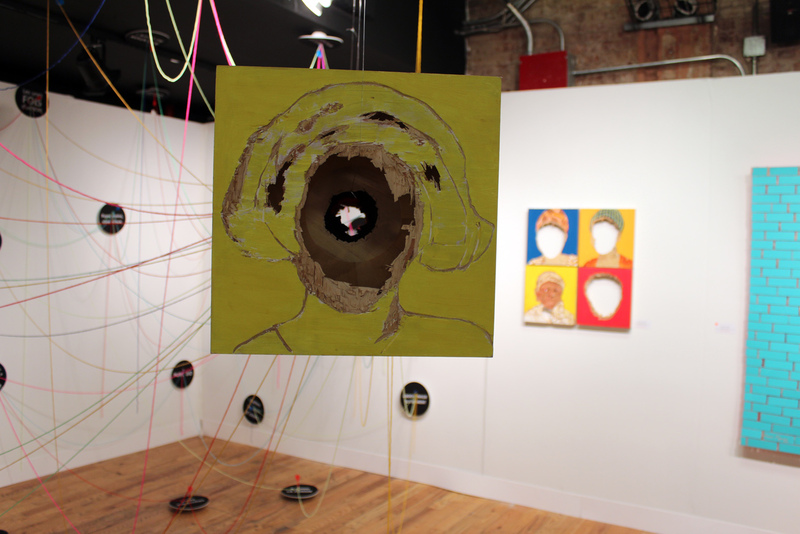 VOLTA NY was open from March 7 to March 10, 2013, during Armory Arts Week, at 82 Mercer in Soho. At right, Sculpture by Marc Fromm at Jarmuschek of Berlin. 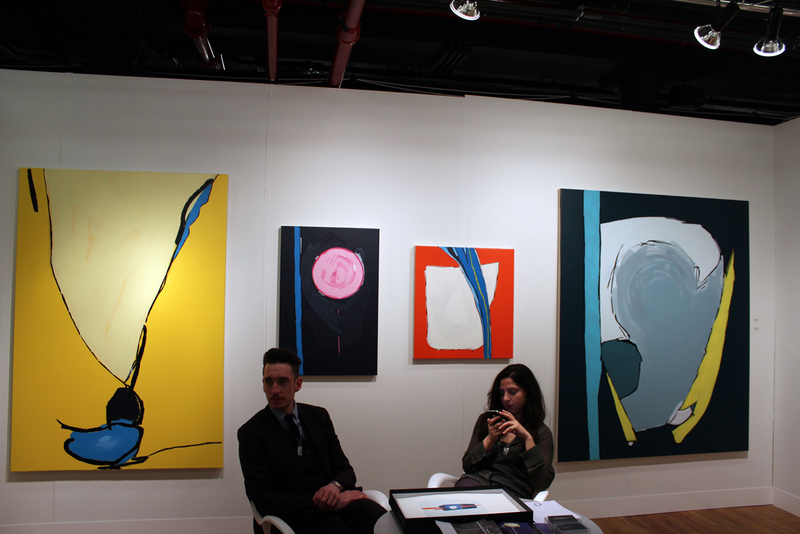 Works by William Bradley at the Eb & Flow of London booth. 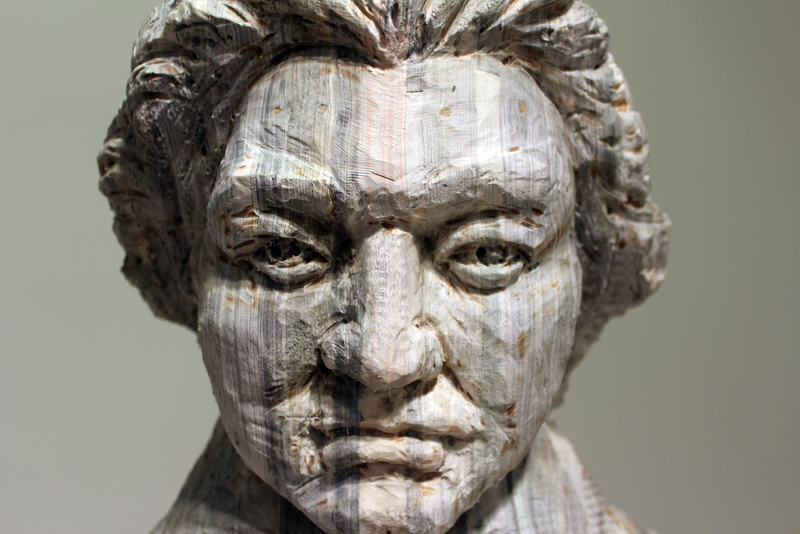 Detail of “Beethoven,” 2012 (books) by Long-Bin Chen at Frederieke Taylor of New York. 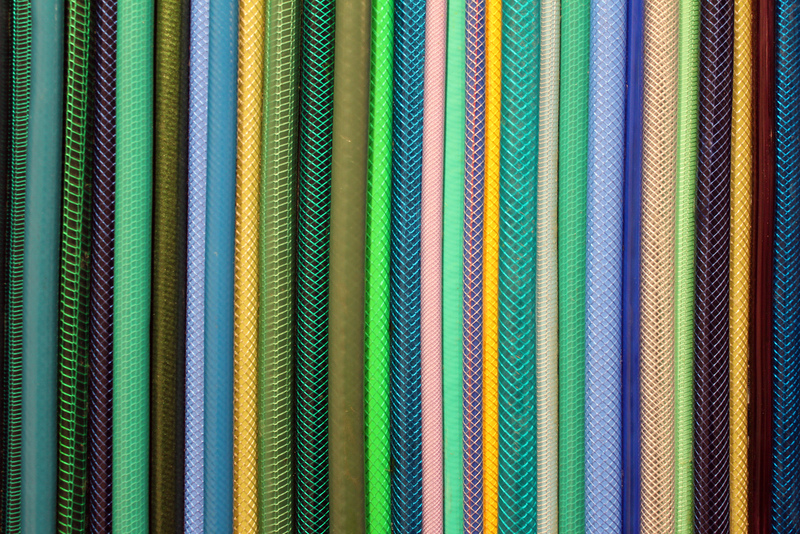 Detail of “Down Pour (Acid Rain),” 2010 (garden hoses, plastic tubes with oil glaze, brass ends on wood panel) by Lynn Aldrich at Jenkins Johnson Gallery of San Francisco and New York. Installation view of “Le Delire Urbain,” 2012 (wood, serigraphies, text, coloured wool dreads) by Aime Mpane at NOMAD Gallery of Brussels. Skoto Gallery in New York is currently exhibiting Aime Mpane‘s work. 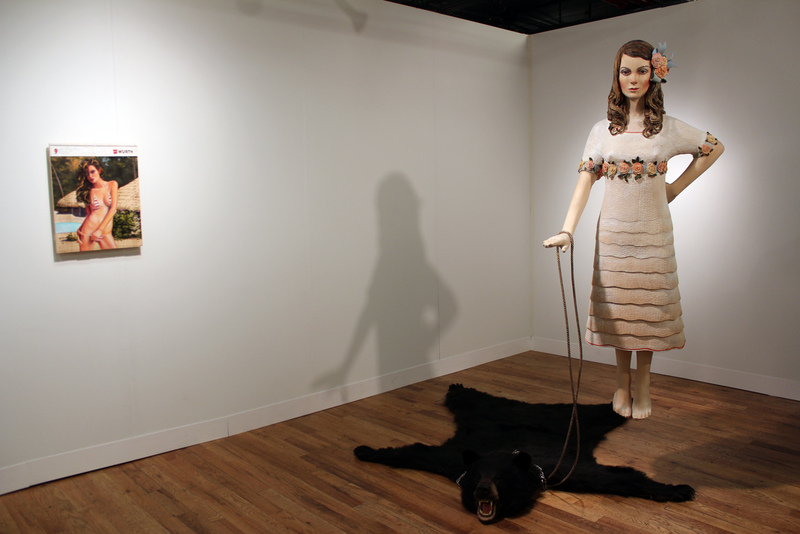 The solo show is on view from Feb. 28 to April 13, 2013. 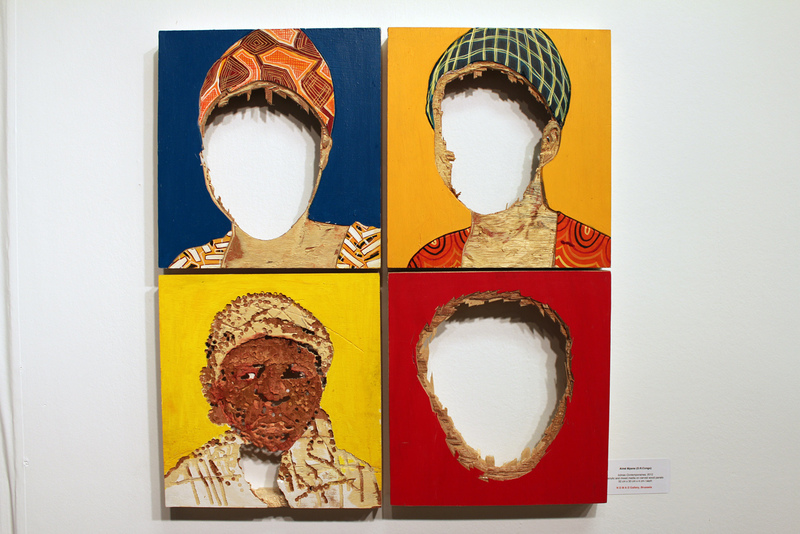 “Icones Contemporaines,” 2012 (acrylic and mixed media on carved wood panels) by Aime Mpane. Installation by Susanne Rottenbacher at Teapot of Cologne, Germany. 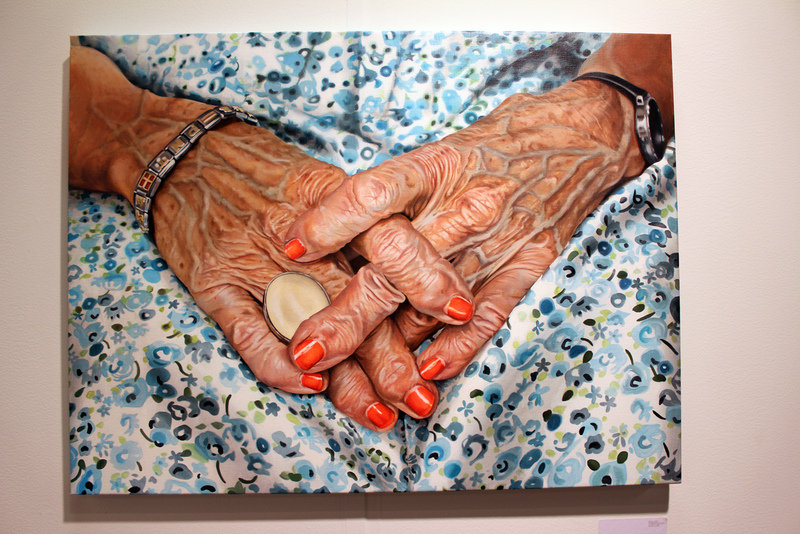 “Rivers and Red Nails,” 2013 (oil on canvas) by Maria Torp at Galleri Christoffer Egelund of Denmark. 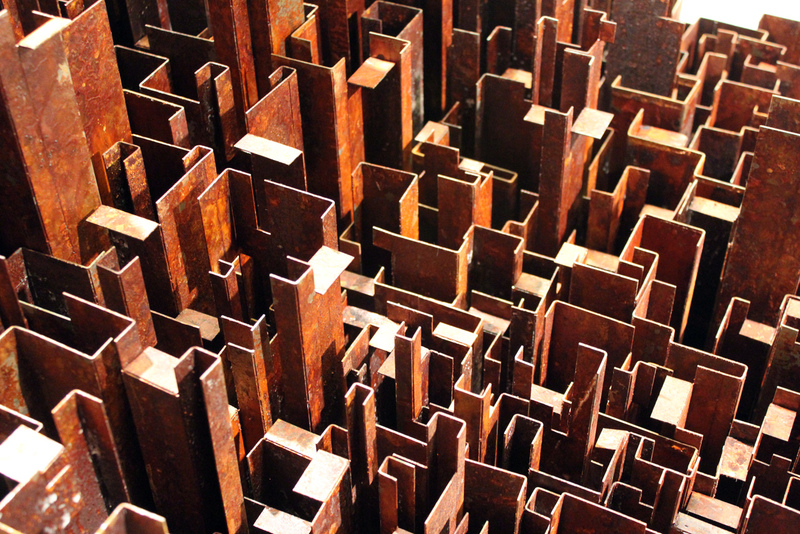 Detail of “The Island of Atlas,” 2013 (custom-made tables, maple, painted, rusted and greased steel) by IC-98 (the artists Patrik Söderlund and Visa Suonpää) at Galleria Heino of Helsinki. 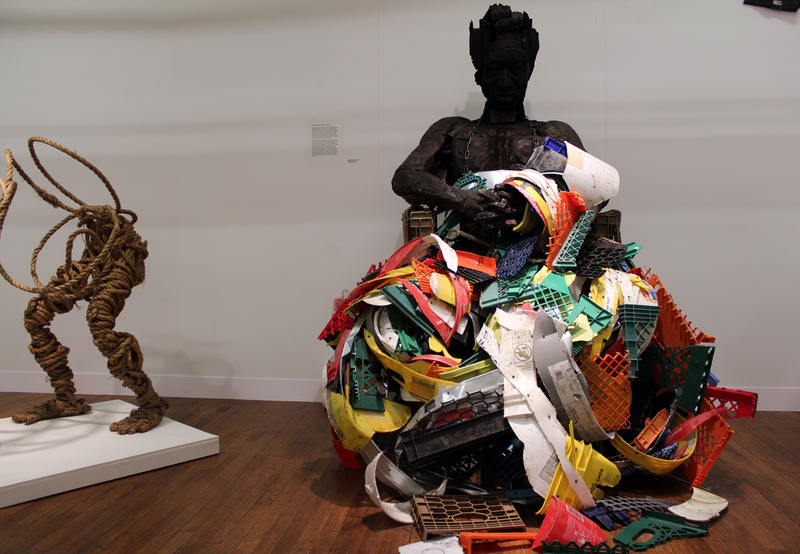 “Oba Ovonramwen of Benin,” 2011 (plastic, metal, wood) and at left, partial view of “Deities,” 2011 (rope on steel armatures), both by Osaretin Ighile at Skoto Gallery of New York. 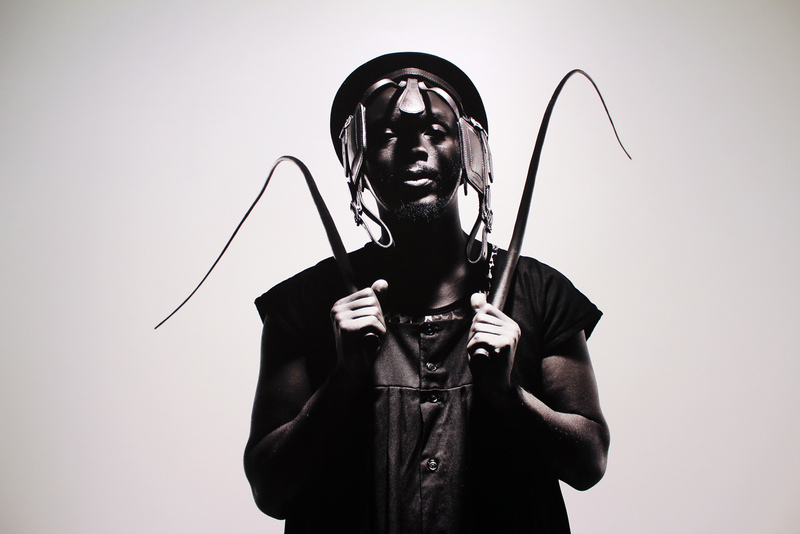 See additional coverage of Osaretin Ighile‘s work at VOLTA. 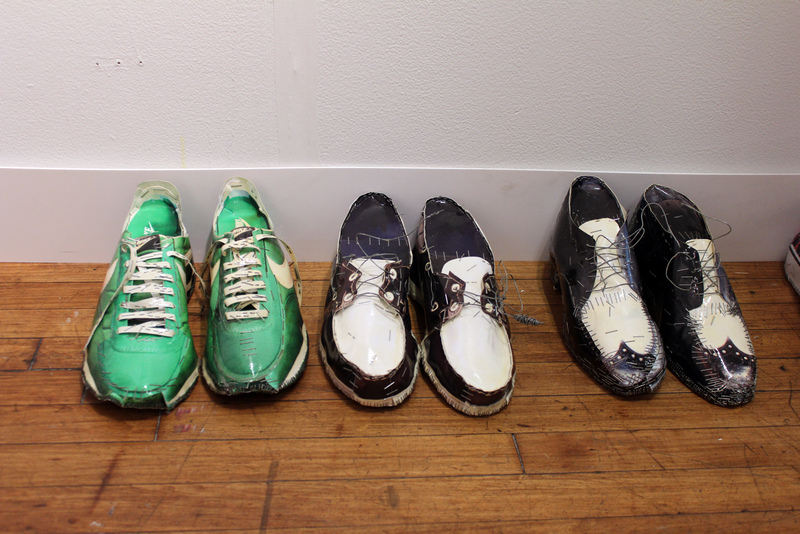 Shoes (printed photos on rigid support, stitches, staples) by Cyril Le Van at Magrorocca of Milan. “Untitled,” 2007 (tissue paper hand cut with scalpel) by Elisabetta Di Maggio at Laura Bulian Gallery of Milan. 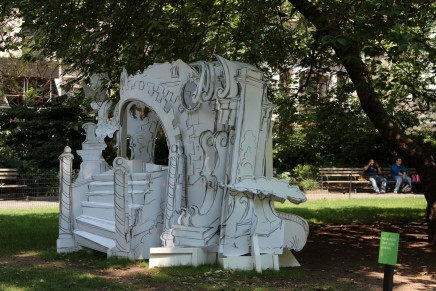 Elisabetta Di Maggio, who was on hand at the show, said that the two-panel work took a year to complete. 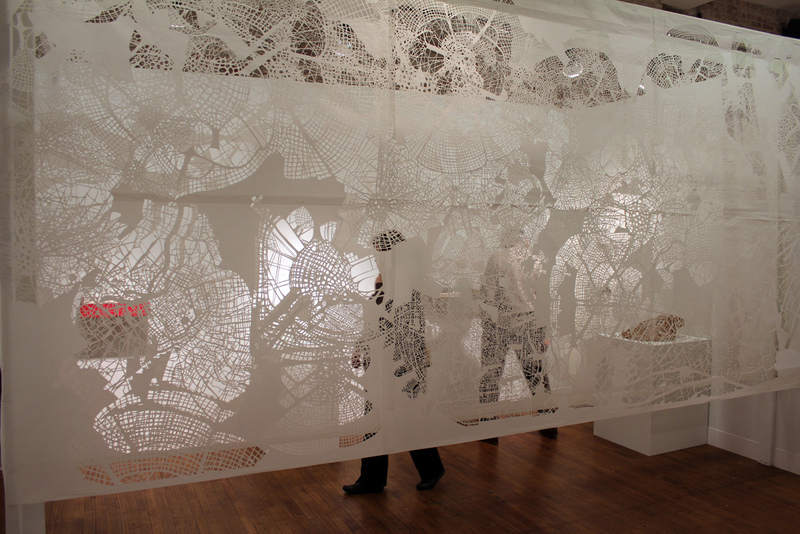 She used a scalpel to make the intricate cut-outs which she said represent micro organisms and city grids. Detail of “Untitled (Frame VII),” 2012 (C-print on watercolour paper) by Mohau Modisakeng at Brundyn + Gonsalves of Capetown, South Africa. 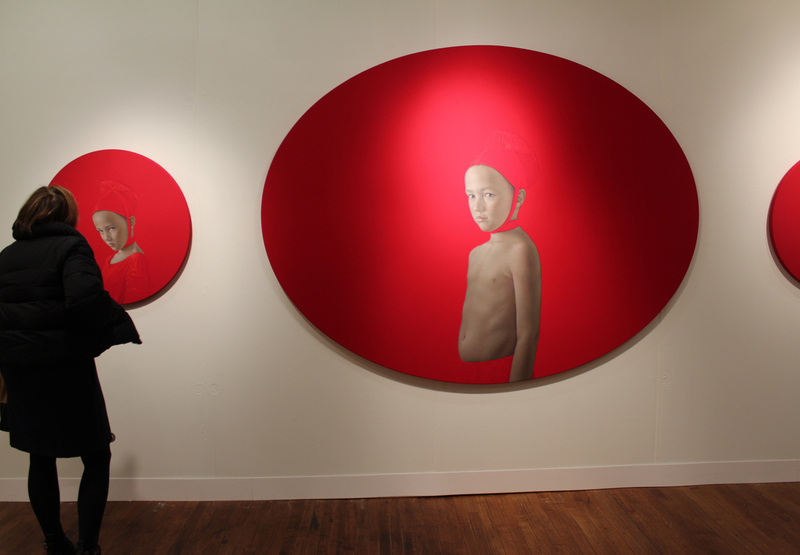 Both works (natural pigments and acrylic resin on canvas) by Salustiano at Kavachnina of Miami, Fla.